The Forteto community, a farming cooperative in Mugello (Tuscany) founded in 1977, have been receiving minors with a past of social disease, mistreatment, sexual abuse or psychophysical handicap, entrusted to community members, even if its leaders are submitted to judicial proceedings for “minor corruption” since 1980. Children who lives in the community were systematically abused physically, psychologically, emotionally, sexually and forced to work hard. Il Forteto received for years sympathies from political and institutional personalities, from intellectual and some Church’s members. In 2001 with the detention of Fiesoli, the community’s “guru”, the Forteto event disclose and shows the pain of victims and the serious institutional responsibilities. The 30th August went to Vatican twenty people among the ones who lived in the community of abuses and mothers who fight for their children ended up in Forteto for judicial decision and get in the mechanism of detachment from the birth family that Forteto’s community carried on. At the end of the general audience the victims delegation was received in private by the Pope. The Pope ask forgiveness even for those who doesn’t asked. Sergio Pietracito, president of the Association of Forteto’s Victims says about the meeting: “For us it is an extremely important moment because it acknowledges our fights and our denunciation that for years were considered almost surreal. I hope that the Pope interest could be a sign for institutions, so that the attention on what happened doesn’t go down and the support to the victims that can’t be let alone continues”. 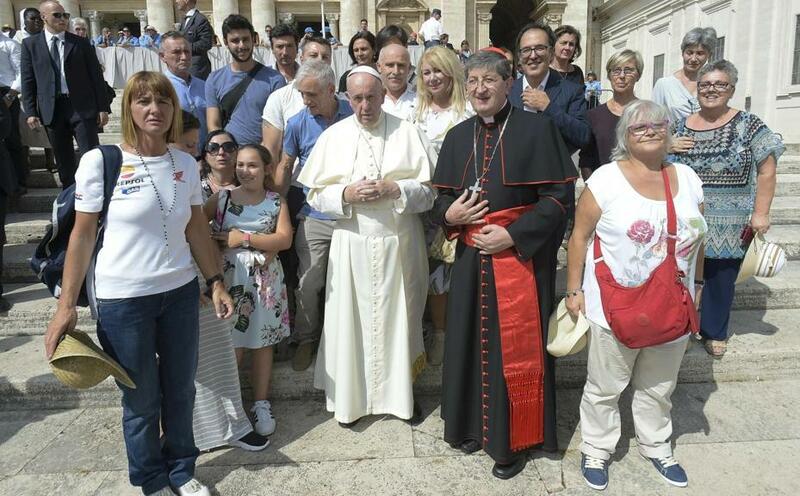 The archbishop of Florence Betori, who accompanied the visit, declared that “the Pope gesture represents an important sign of support so that the truth about the criminal event marking the life in Il Forteto and spreading deep pain, could emerge. This truth should be ratified in the courts of law but also should spread on the collective awareness, especially of those who have responsibilities in the management of the society, called to take decisions that bring back the legality where it was seriously offended, and prevent crime reiteration”. Artemisia association highlights the relevance of the meeting too: “The Pope attention is an important step forward in a context where the assumption of responsibility of the community and the institutions is still discontinuous and hesitant. (…) The processing and compensation of such offenses can’t be exclusively an individual path of the victims, because what appended concern all of us”.